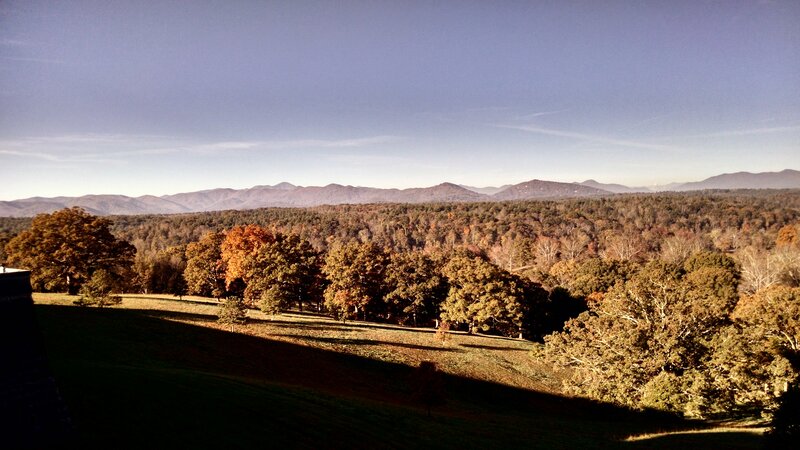 I hadn’t visited the Biltmore Estate of George Vanderbilt since the latter 1960s, but since my wife and I were going to be at a novelist retreat in western North Carolina just twenty miles away and she’d heard so much about it–author Deeanne Gist, it’s all your fault!–we worked it into our schedule. In fact, we stayed an extra day to do it. Our visit impressed, but didn’t thrill me. I doubt I could ever get used such opulence. Good thing, huh? I don’t expect to ever have to face that problem. But, seriously, for someone like me who enjoys his 1200 square feet of mobile home space, Biltmore’s 178,926 square feet of floor space is a tad hard to comprehend–even after touring it. I’m sure the Vanderbilts had lots of visitors. The house has enough bedrooms to house the least favorite in-laws where the family would never have to see them. Nothing was said about having to use homing pigeons to communicate between different sections of the house. How did they manage it? Mr. Vanderbilt’s library is impressive, but it contains only expensive-looking hardback books, a number of first editions, I feel certain. Am I jealous simply because I can only afford paperbacks–or Kindle downloads? And my! I didn’t keep track, so I can’t claim for certainty that every room had at least one ornately decorated Christmas tree. A number of them did, though. I was glad we could wander along the self-guided tour of the house at our own speed. But when we finished in ninety minutes, it was hard not to ask, “Is that all?” Not that there wasn’t a lot to see, but that much elegance tended to run together after the first couple of rooms. The servants’ quarters were more our speed. By buying our tickets online a week before our visit, we got them for a mere $50 each. I realize that maintaining the house and grounds must cost a fortune, but still…that price should’ve covered at least one meal. And it should’ve entitled visitors to take pictures inside the house and not just outside. I used my phone for the pictures at the top of the page. 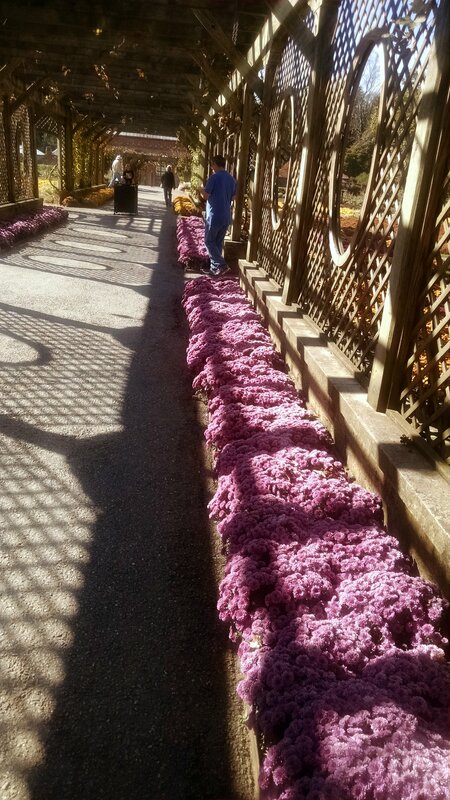 We weren’t there at the best time of year for the gardens, but we did see some beautiful mums and roses. The conservatory had a better assortment of houseplants than any commercial greenhouse I’ve been to in recent years. 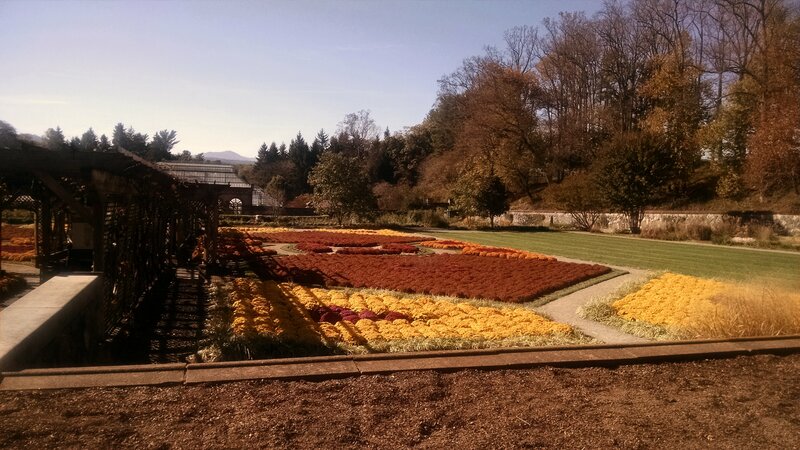 Regardless of my lack of enthusiasm, I don’t regret our visit to Biltmore. As a friend pointed out, yes, the price is steep, but it’s something everyone should do at least once. My only regret is doing it twice in my lifetime. But to please my wife, I’m still glad we went–and got it over with. A guy has to be really nice to a woman who not only tolerates, but actually enjoys visiting guitar factories. What do you think? Have you ever gone to see something that should’ve impressed you, but failed to? How about leaving a comment? 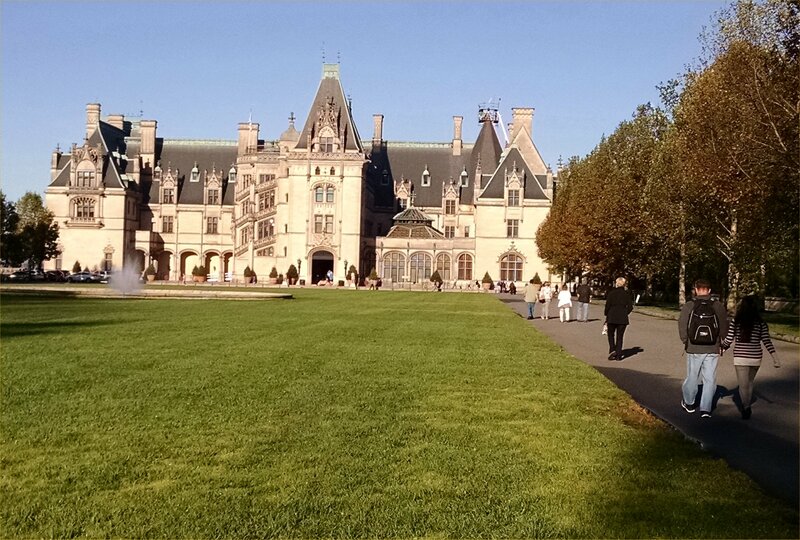 This entry was posted in Biltmore, Elegance and tagged As I Come Singing, Biltmore, Elegance, Free Christian Lead Sheets, Free Christian Lyrics, North Carolina, On Aging Gracelessly, Roger E. Bruner, Vanderbilts. Bookmark the permalink. ← Whatever Happened to Smoking Pipes? Yes, The Whitney Museum in New York. What a horrible place to see art. I felt completely off balance on the spiral staircase. It didn’t help that I don’t like modern art. I worked at The Museum of Modern Art in NYC and despite my preference for old art at least MOMA is a great space for art.